ON THE GO OC - Things to do with your family. 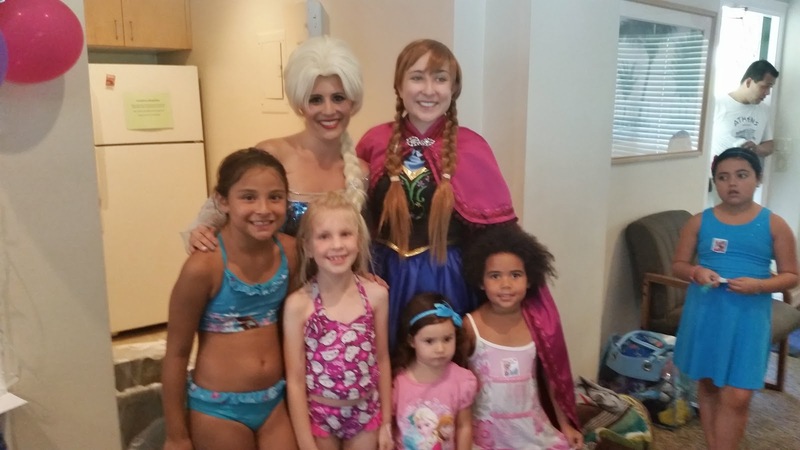 : Its Always a Great time to GET FROZEN ! 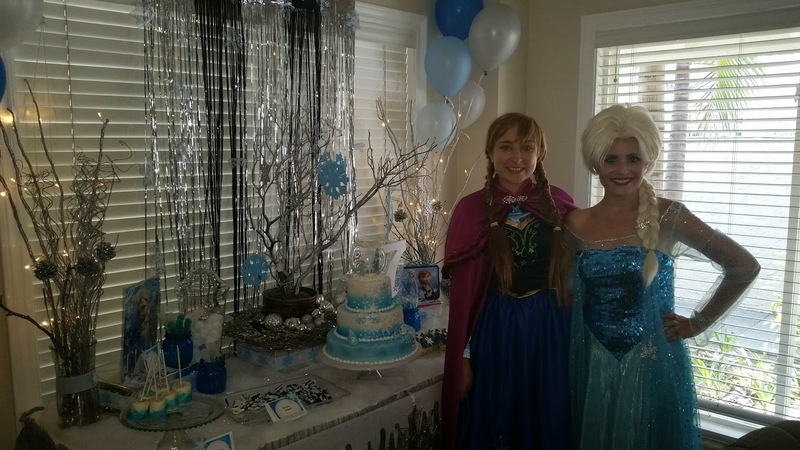 *BIRTHDAY SPECTACULAR* with... ANNA and ELSA ! Its Always a Great time to GET FROZEN ! 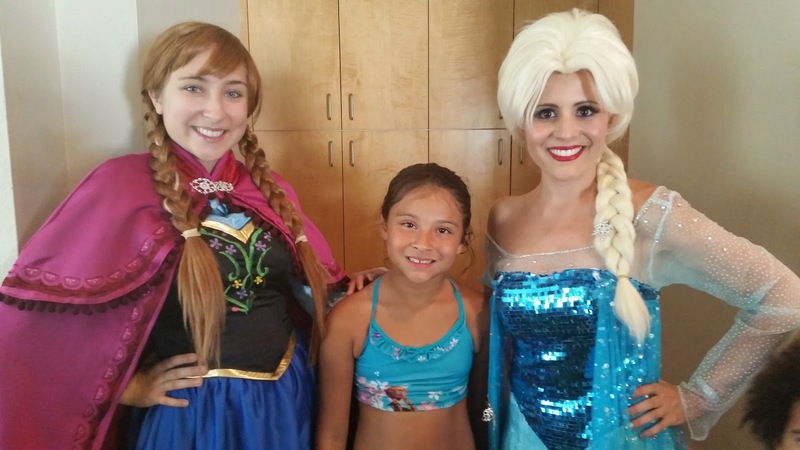 *BIRTHDAY SPECTACULAR* with... ANNA and ELSA ! Wait what !? Yes, I know, I said it.. FROZEN ! Its every little girls favorite and even some awesome little boys I know too - Its the Hit of the year and I know it will be for years to come . For my daughter and I, well, it is on the top of the list for sure. We attended the opening night of the screening for D23 members at the El Capitan and didn't stop there ! 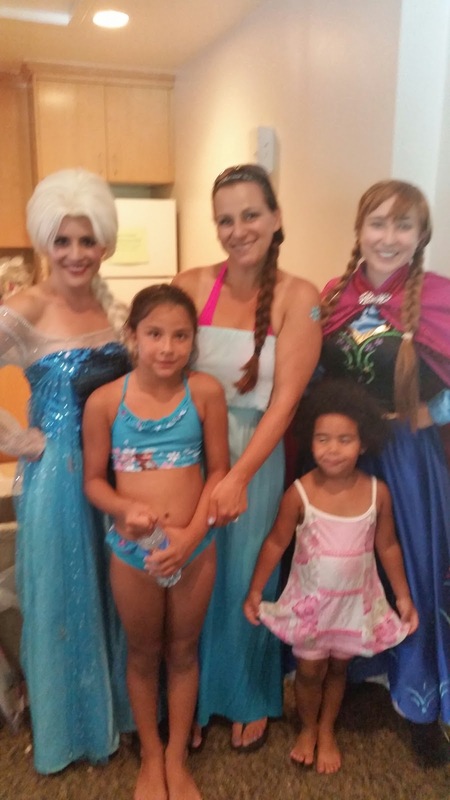 Since that magical night my daughter has wanted to do, be, see, have, love and dress Frozen... yes all of the above lol . Well... it's January 2014 and were celebrating her brothers birthday and she insists that for her Birthday she will most definitely want it to be FROZEN ! 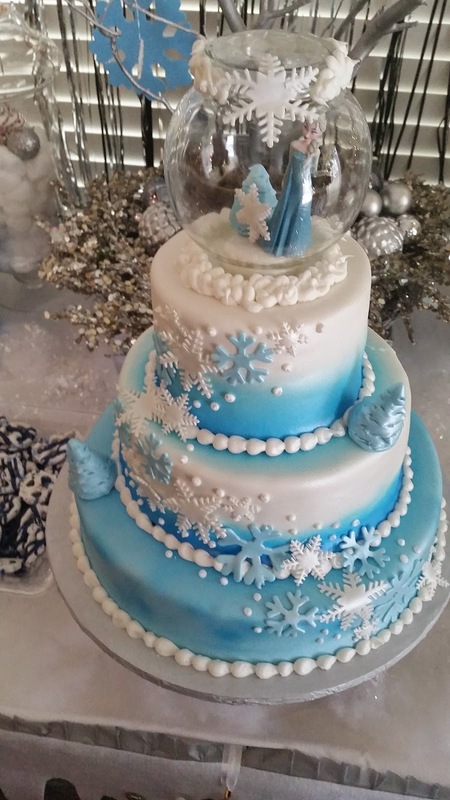 So naturally I think to myself.. kid your birthday is in summertime and you want more of an Elsa feel to it ?! Ok here goes.. so before I go further.. 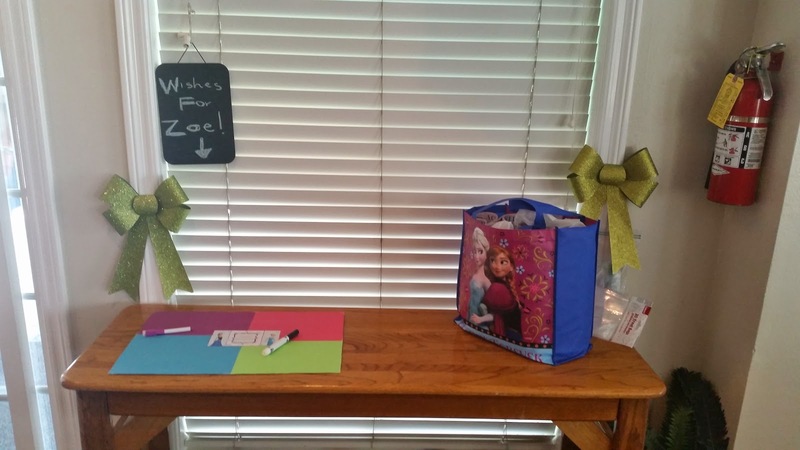 I would like to share that although her birthday is in Olaf's Summer... what we did could be used for a winter Frozen themed party just as well ! What do you do first !? Usually you think about guest numbers and invites.. well naturally my daughter wanted to go to Disneyland and invite the sisters themselves in person . Thank God we have an annual pass and we got there early enough for her to hand a home made snow flake to each sister and a hand written invitation to her party. I got the "DEER IN HEADLIGHTS" look form both Frozen sisters and I sneakily nodded my head in acceptance that they would in return say YES and accept Zoe's invitation to her birthday party ! I mean little did this girl know that I had already heard great things about Snow Sisters Parties and had already made the call to the sisters myself ! he he ! 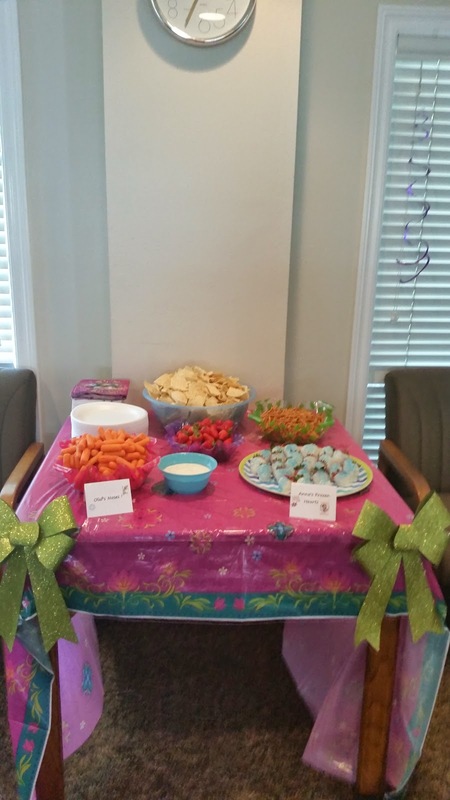 Not only did I brainstorm the craziness that goes into planning a party but my good friend Nina and I also do the decor and sweets though our fun side hobby of Pixie Sweets and Treats. Yes a lot goes into these parties, for our kids, these days ! 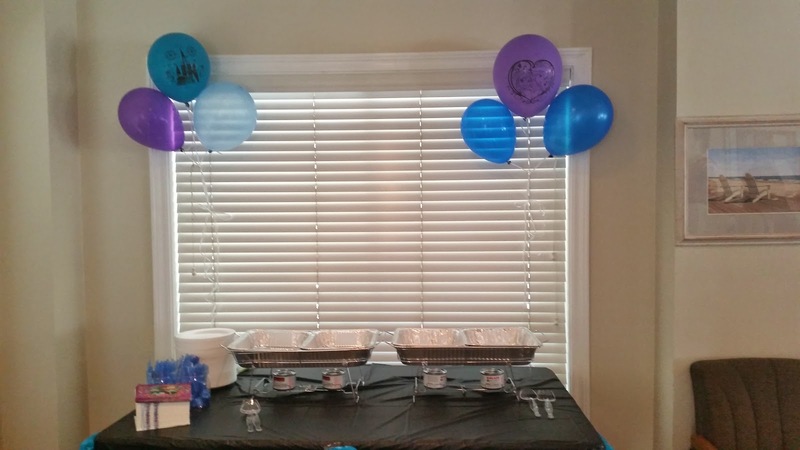 With party planning under way and a large table in use to represent where the sweets, treats, cake and yummies will be, we were rocking and rolling with it all ! 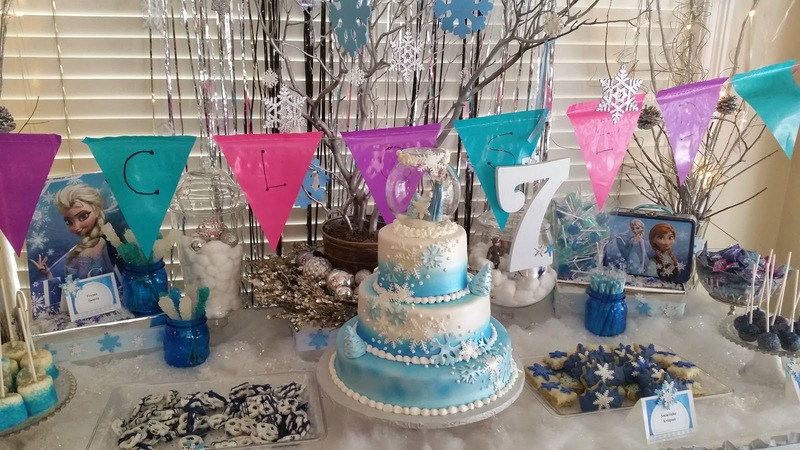 The Snow Sisters Parties girls were ON IT - I mean they emailed, sent notes, tweets and even went the extra mile of staying in contact same day if I sent an email - now that is customer friendly and puts a crazy party planning mams to ease. 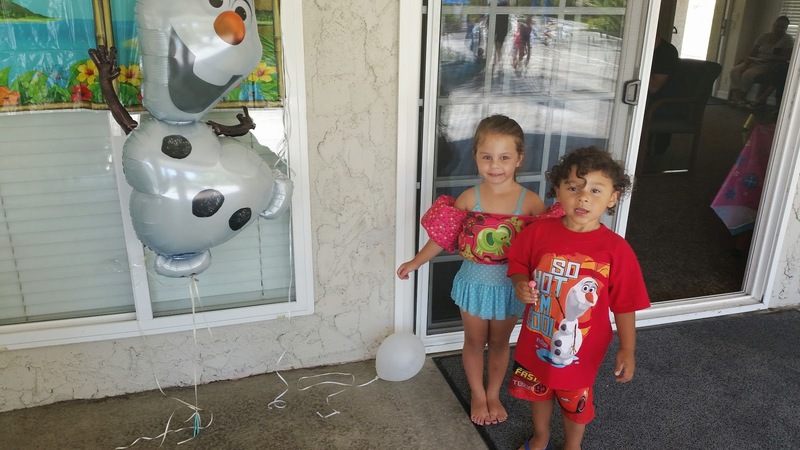 Party decor was coming together nicely and the Elsa feel for the inside of the p[arty was perfect.. as well as the outside where we decided to pull of an Olaf Summer ! 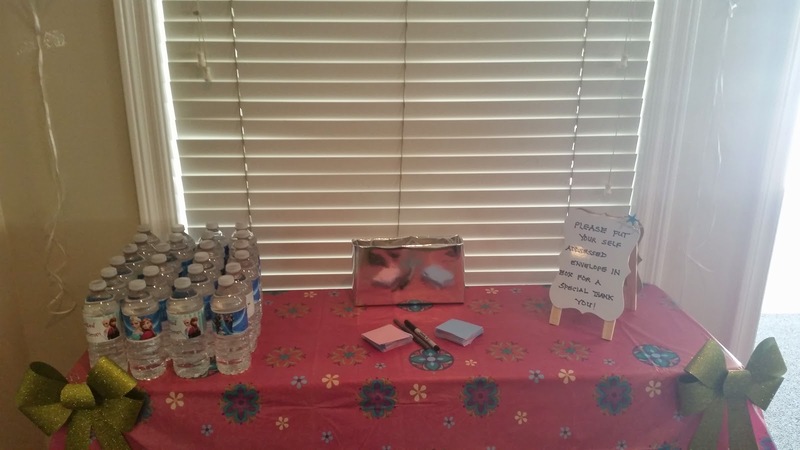 - Complete with two activities for everyone to do ! A make your own edible Olaf and of course a color create your own snowflake and Sven ! 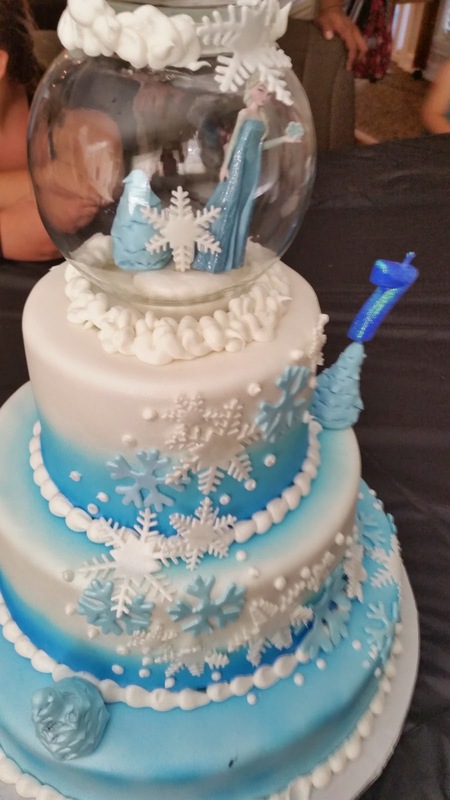 The sweets were nicely planned as well.. everything on Elsa's Frosty Sweets was tied into the theme of Elsa her self ! I myself was in love with it all ! Party day is here !!!! WHOOP WHOOP ! Everything was perfect and awesome Nina was there to help me.. my Dad, also known as, Papou was there are all.. he is always there to help and support the kids, my brother and I . My amazing mother in law with the help of my sister in law Ileana brought a full taco bar fixin with them .... I mean FULL TACO BAR ! WHAT ?!!? There was salsa and two different kinds, chicken and steak and guacamole ! Oh i cant forget the taquitos ! Oh My yummyness ! I mean this is a HIT with everyone and we are always so grateful that its done for us ! The cake that was done by my beautifully talented Michelle was in plae and just as perfect as i imagined it would be.. Zoe LOVED IT ! The guests are arriving, the Frozen over inside and Olaf summer outside is perfect as well as the desert bar stood out like a gem . Our food was in place and the pinata was ready to go outside ! While everyone ate, played and swam.. we mingled with our guests ! We love the great company everyone always brings to the table ! Great People = Great Times ! Wait what time is it !? Its about 2:30 and someone said they saw Anna and Elsa show up form Arendelle ! It was true the sisters had shown up ! These girls are awesome ! From the moment they walk in to the moment they leave they are ANNA and ELSA ! Nothing breaks their focus on that.. it really is special . The Snow Sisters were there for a while and all the kids really loved the whole experience - there was singing, dancing, magic, jokes a special treat or two for the birthday girl and much more that they just went with the flow for and took pics with all the kids young and older ! 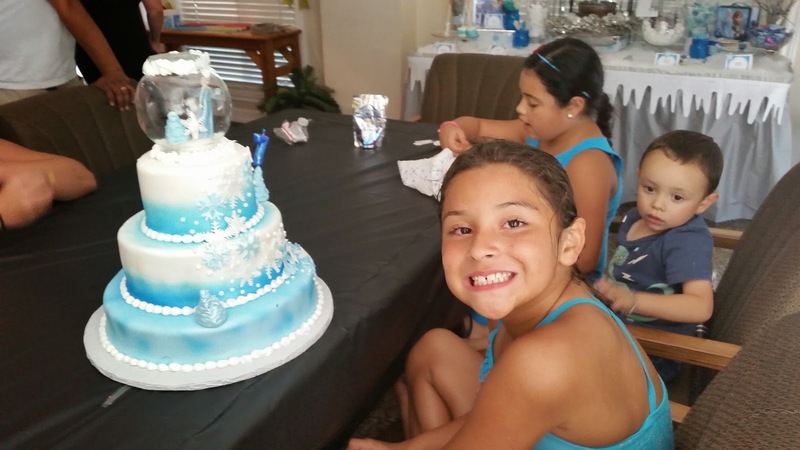 It was magical for my birthday baby girl and she said it was the best 7th birthday shes ever had.. I knew what she meant ! 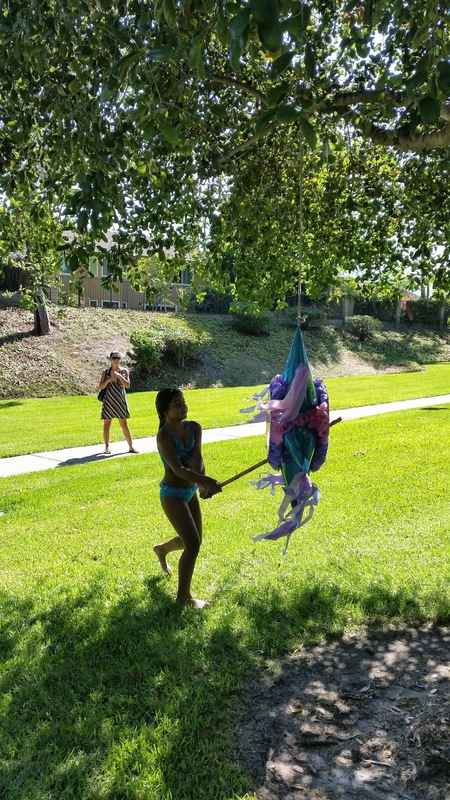 After the girls went home to Arendelle we decided to Rock the Pinata ! We tied it up and let er rip.. and RIP she sure did lol lol OH MY .. it was not even half the line before the Pinata was a bust from the top tie and wouldn't hang or swing ! All good though cause my sister in law the lovely and creative Grecia just brought a bunch of extra candy to throw and toss up like as if she was prepared for the pinata to be faulty.. lol Love her ! All the kids had a lot of fun and got a lot of good yummy candy ! We all went right back up for Cake and Ice Cream - my daughter and I were both sort of sad to see the cake cut but the taste is always just as amazing as the look .. I'm telling you our friend Michelle is UHMAZIG ! Well with everyone happy and full we smile and call that a success ! That is a typical #OnTheGoOC event ! Thanks Nina for your creative eye and help in the most Pixie Sweets and Treats of a way ! 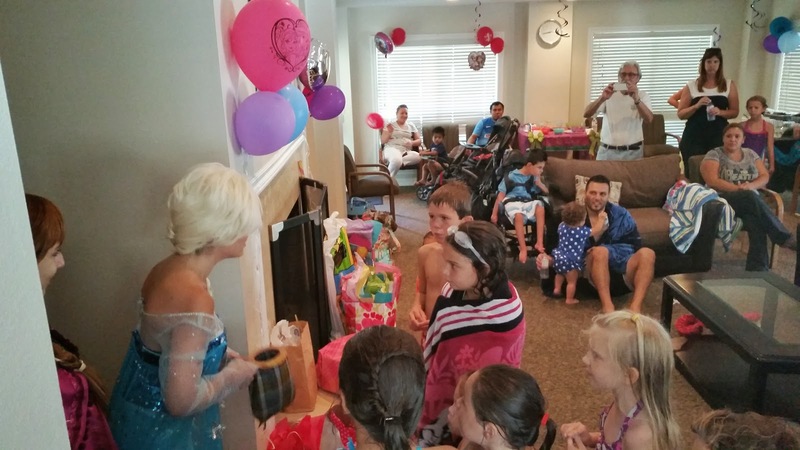 I really can not thank enough the Snow Sisters Parties who brought the hit of the party Anna and Elsa to my 7yo birthday ! The friendly and professional attitude to the way you stayed in character the while time.. you ladies ROCKED IT ! A huge thanks to my MIL and family for the taco bar and as usual bringing the best Mexican food around ! A lot of love and hugs as well to our Papou - with out you we wouldn't have a place to hold this yearly event and with out you she wouldn't feel as complete at Papous Pool - Papou is the best ! Thank you to everyone who attended and came out - Zoe says thank you and she.. well we all love you all very much ! 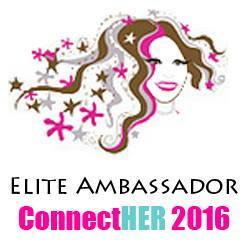 Until next time we host and or attend a super party ... Have fun and Get OnTheGoOC ! !